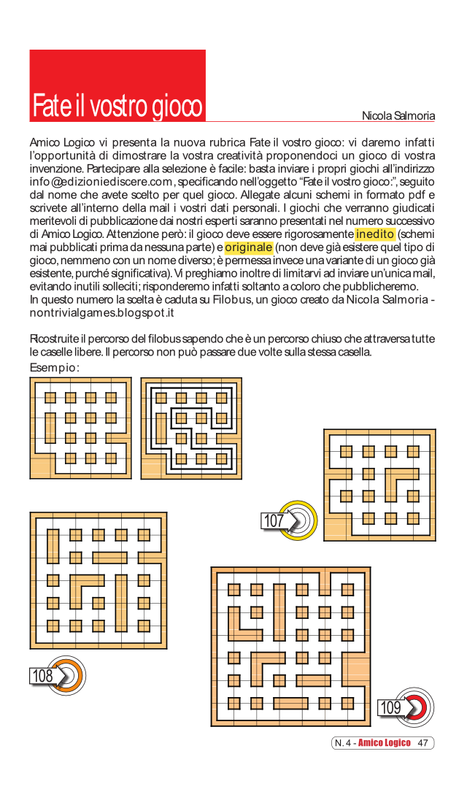 The Italian magazine Amico Logico, which should be out today, contains a page of puzzles that I designed. 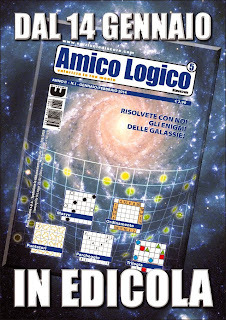 Amico Logico is probably the best logic puzzle magazine currently available in Italy. 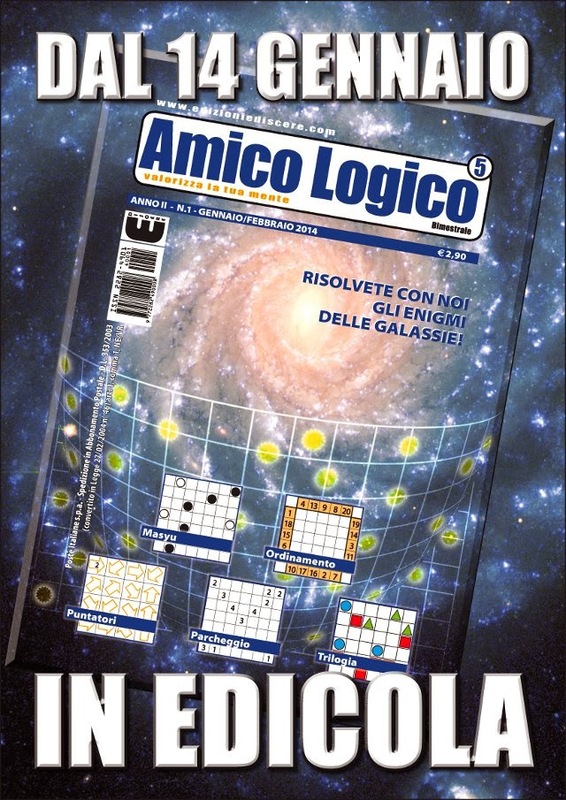 Its strength is variety: in 84 pages, it contains about 150 puzzles of more than 40 different kinds, and the editors strive to provide new kinds of puzzles in every issue. If you want to print it out, open the PDF (it contains the solutions too). 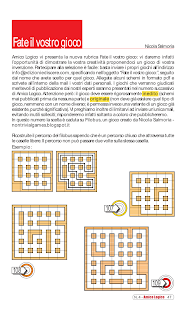 The rule of the puzzle: draw a closed path that passes through every cell of the grid. The loop must not cross or touch itself. This puzzle is very similar to Monorail by Glenn A. Iba. Effectively, it can be thought of as the dual: the difference is that Monorail tells you some segments where the path must pass, while my puzzle tells you segments where the path must not pass. Do you like these puzzles? Would you like to play them on iPhone and iPad? Please let me know in the comments. Feedback will be crucial in the decision of whether or not to go ahead with the development of an app.